A cottage is typically defined as a modest, often cozy dwelling. These homes radiate warmth and make you want to spend the day curled by the fire reading your favorite book. 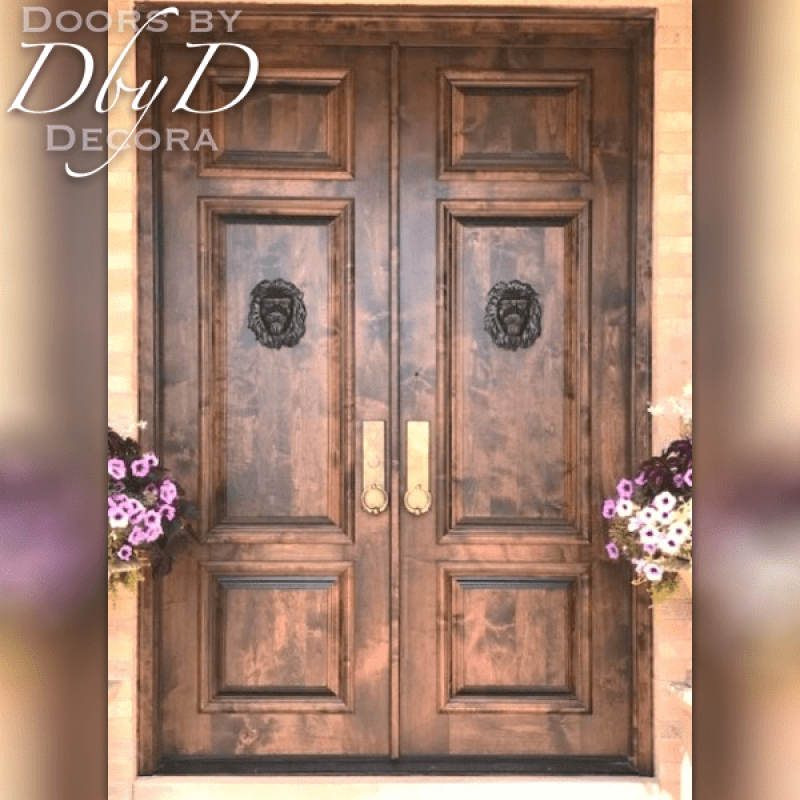 But, to enter the cottage, you must first go through the door, and our english cottage doors are the perfect accompaniment to your cottage style home. 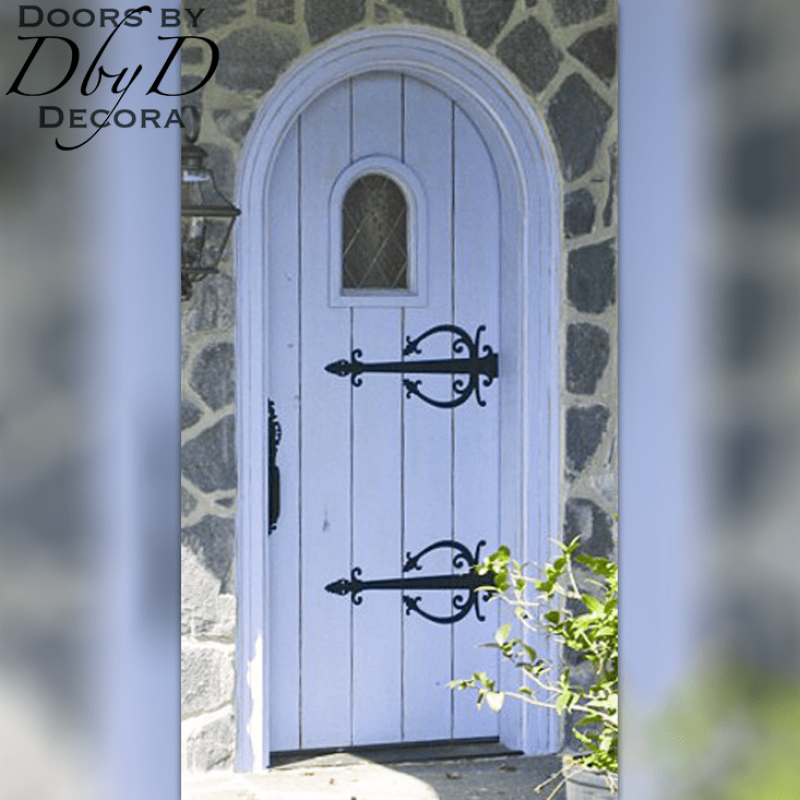 You will find that Doors by Decora’s english cottage doors are a fundamental part of our Old World Collection. 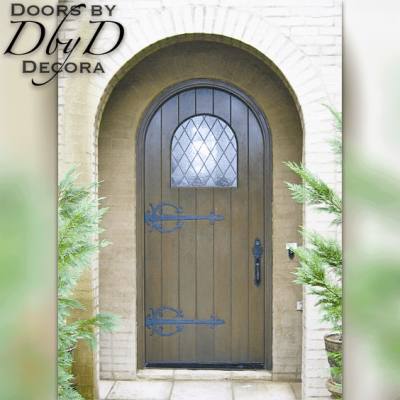 These doors feature design elements found on many of the doors that you would expect to find on an old english cottage. 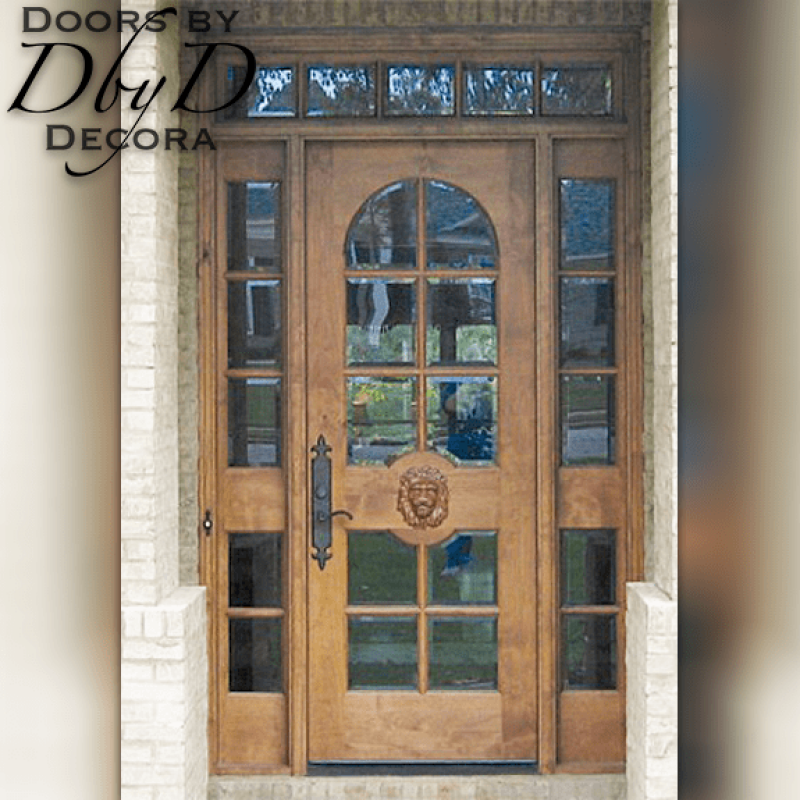 In addition, you can see that almost all of these doors have some sort of distressing to make them appear even older. 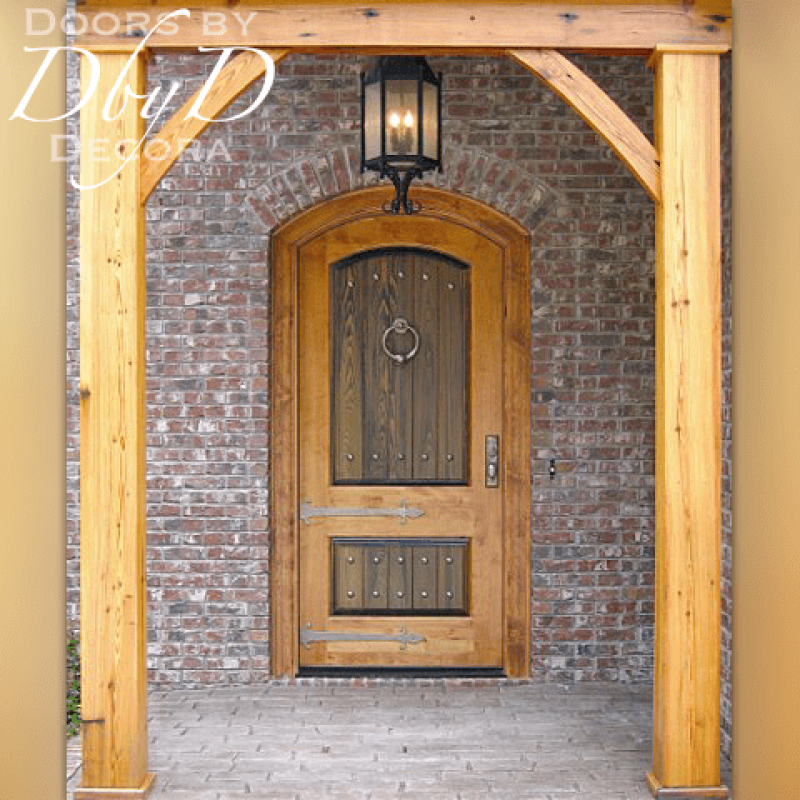 Hardware accents like strap hinges and clavos add to the illusion that these doors are ancient. 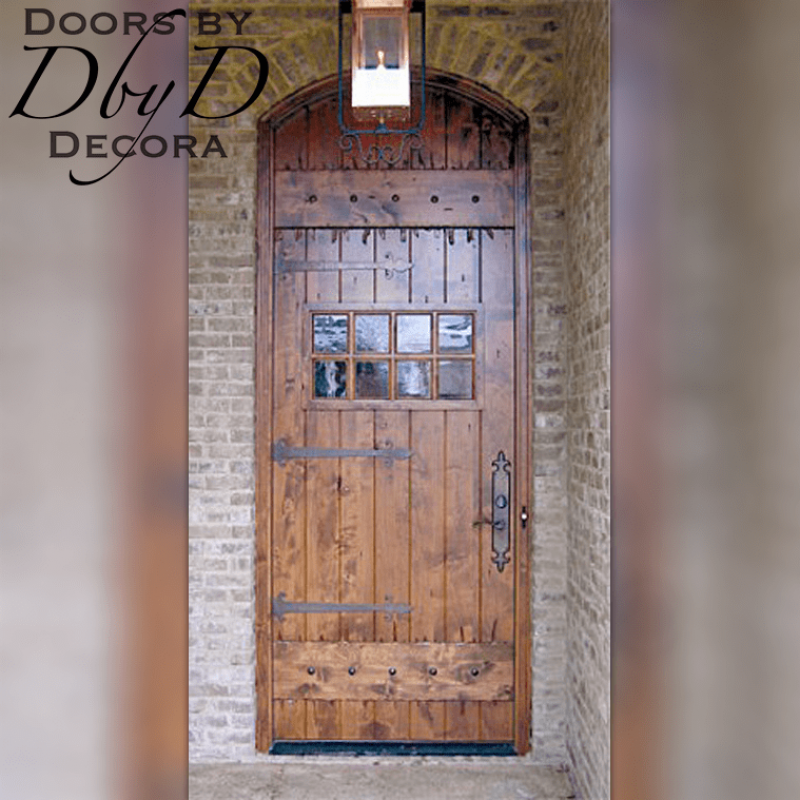 You can see some of our favorite english cottage doors below, or view all Old World Doors. 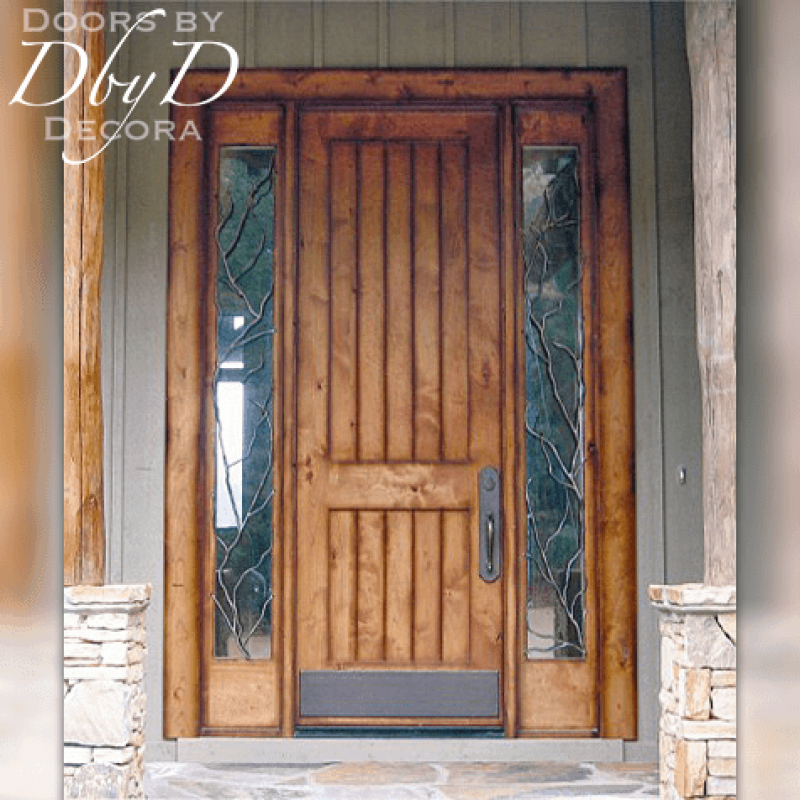 At Doors by Decora, we use many design elements so our doors look like they just came off an old english cottage. 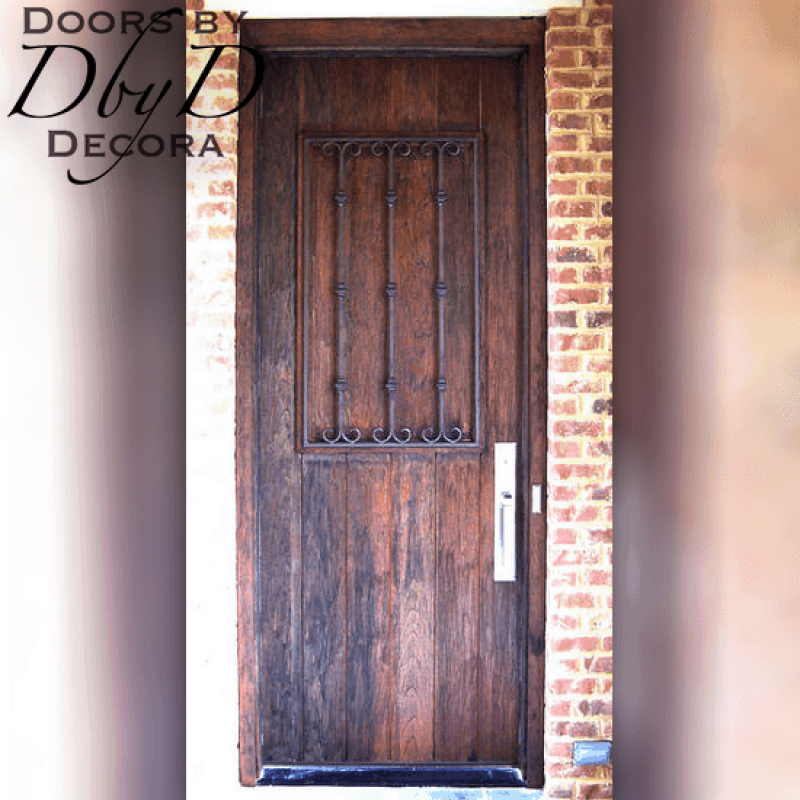 First of all, many of our english cottage doors are hand distressed. Our stain and finish experts use tools like hand planers, hammers, and wire brushes to add dents and gouges. As a result, these doors look like they have lived a long and hard life. 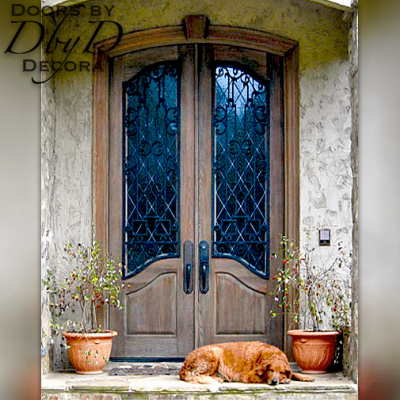 To conclude, our staff then stains and finishes these doors to add accent to those distressed areas. 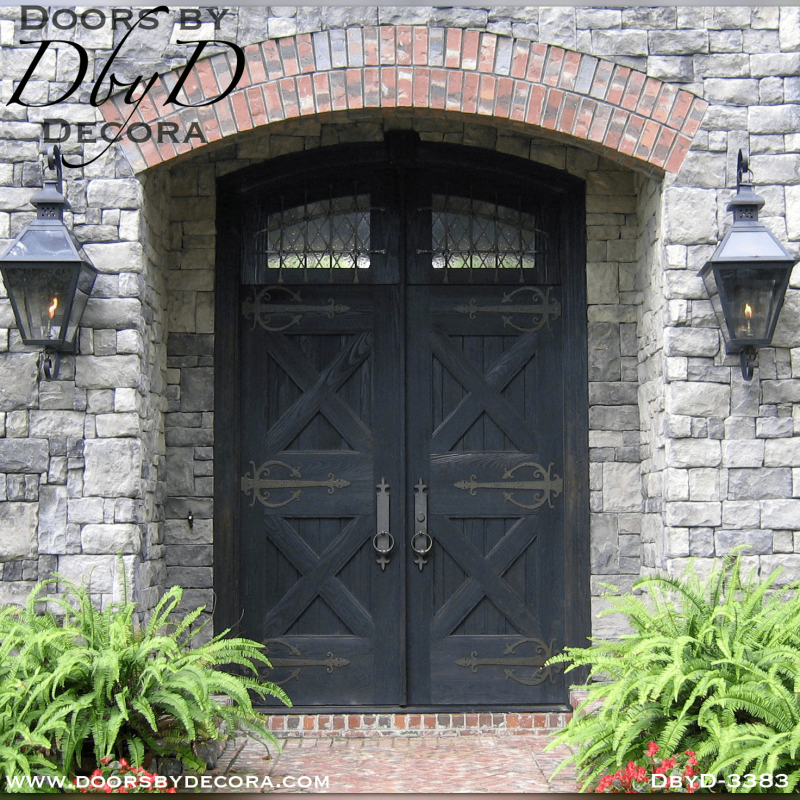 In addition, we also carry several lines of hardware that specialize in old world looks. 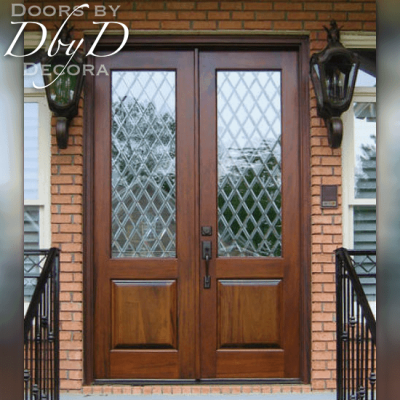 Our hardware expert can help you select the right finishing touches to help you achieve the look you want. 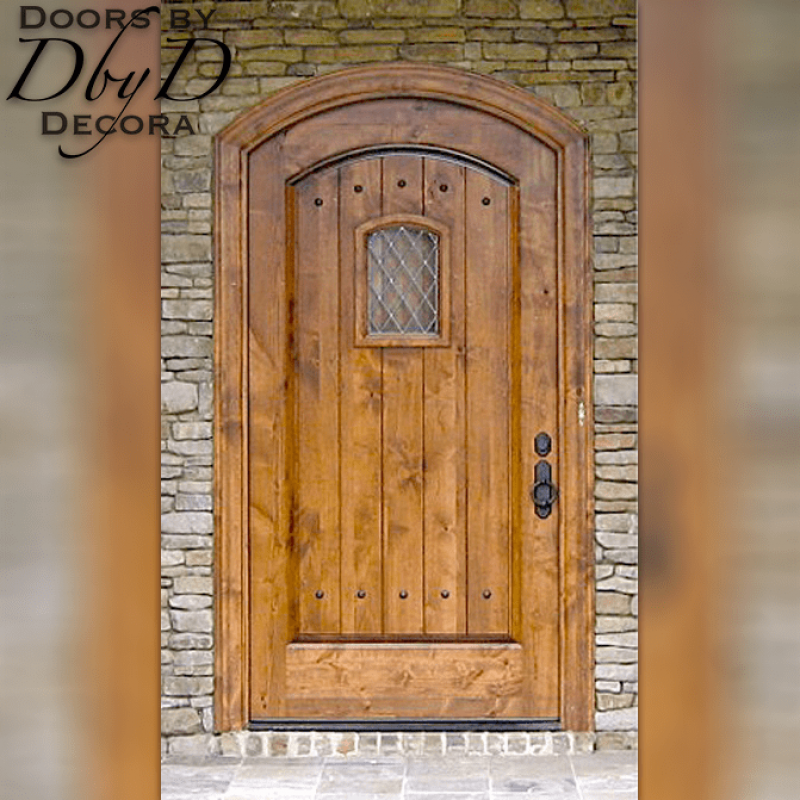 We can add calvos (decorative nail heads), strap hinges, and rustic door knockers just to name a few.